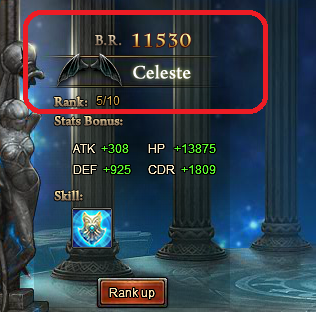 Just Found Some BR different on wings for New Rank ups, What I mean Is, Old players already have high ranked Wings But If someone got the same Wing same rank-up would get more BR than others with the same rank Wing..
With my calculations and new bonuses, The Celeste wing Rank 6 Should be more than 13K+ Now with more stats for sure, So I hope This get reported and old players Get their bonuses aswell.. Thanks for spending your time doing all this comparatives. 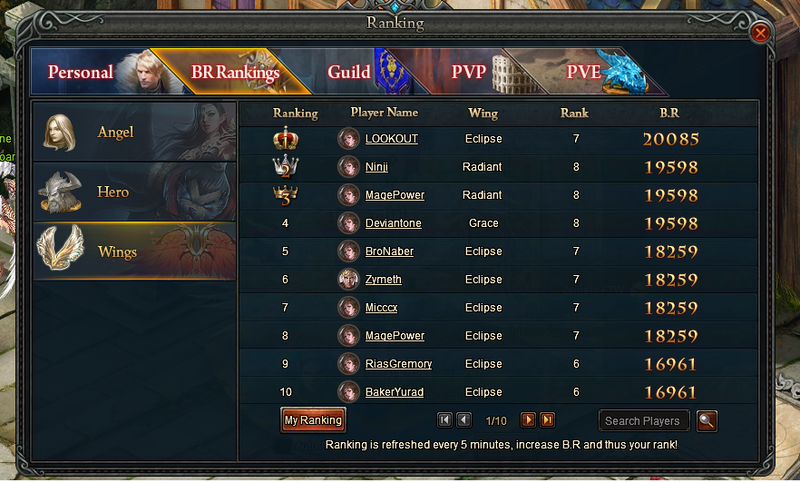 This is going to become very urgent soon since as you can see those that rank up slower will have higher stats on their rank 10 than the more loyal customers that supported your company earlier. Effectively this is set up that it punishes you most valuable customers for being long running customers and needs to be rectified. 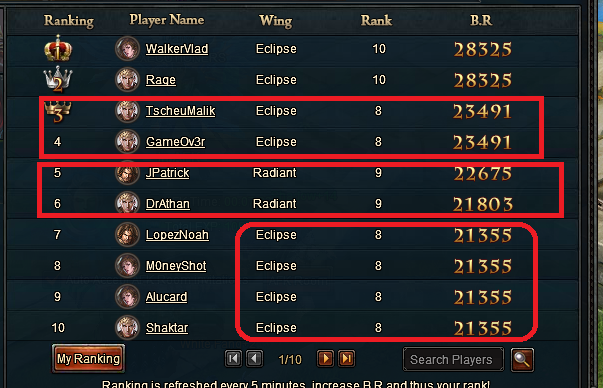 Note also here that those with rank 10 already can\'t rank up again to force your system to wake up and correct itself you need to make sure this is done since we can\'t. 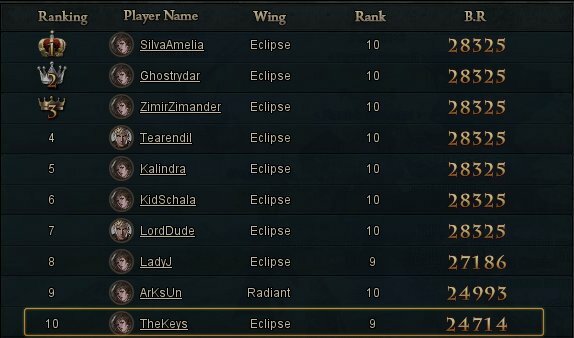 Ranking in wings need be fixed yeah ! 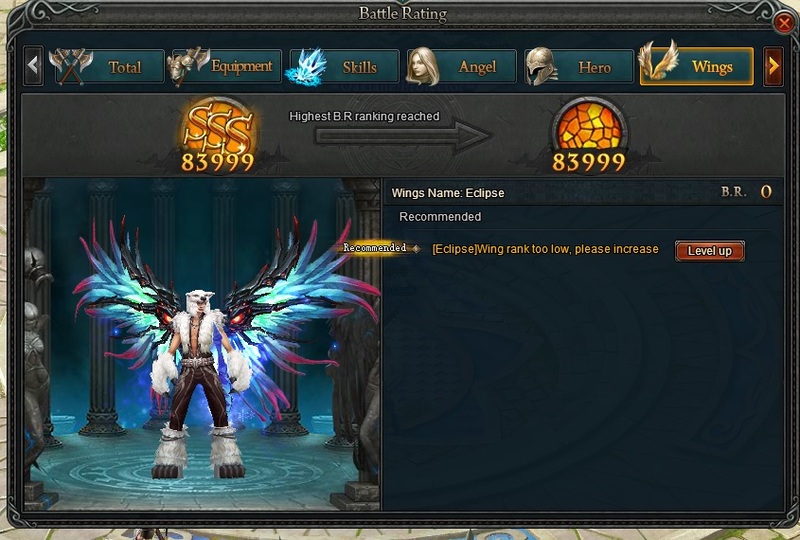 So why not make the wings ranking based on total level of wings or total wings BR ??? 2019-4-21 16:56 GMT+8 , Processed in 0.067891 second(s), 52 queries .